Prior to the new banking regulations, getting a home mortgage if you owned a business, worked freelance, on contract or were otherwise self-employed was possible, if complicated, using stated income, bank statements and other alternatives to W2 income statements. New regulations on so-called stated income loans, however, make getting that mortgage a bit trickier for self-employed, Schedule C taxpayers. For typical W2 employees, the requirement for proving income for both conventional home loans and FHA loans is a copy of two year’s tax returns. Lenders take the net adjusted gross income for the two years and average it, or if the most current year is lower than the preceding year, they use that number. Since many self-employed folk take exemptions for home offices, vehicle use and other legitimate business expenses that reduce their tax load, their adjusted gross income typically is somewhat lower than their usable income. Different lenders in this new banking era require different documents and proof of income in order to verify usable income for mortgage purposes. 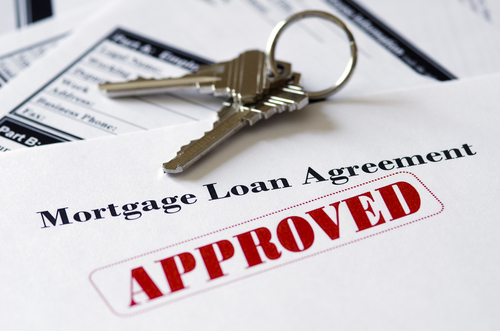 Find a mortgage professional experienced in self-employed mortgage qualifications. An experienced and knowledgeable loan officer can show you how to increase the amount of your income that qualifies by adding back depreciation on vehicles, properties or equipment, depletion, business use of home and salaries or owner draws that the business paid to you. Know how to qualify for an FHA loan (see below). Some alternative loan programs still accept bank statements and proof of deposited amounts to verify income instead of tax returns. These programs work well for buyers that have cash-based businesses, haven’t yet filed their last year’s tax returns or that have minimized their tax liabilities. Alternative loan programs are note available at market rates, however, so what you save in taxes may go to higher interest rates. Make sure your credit score is above 700 and your current credit usage is low. So, if you’re using credit in order to increase your credit score, make sure you are paying the cards on time and that the available credit remains high compared to usage. Prepare a comprehensive profit and loss statement year-to-date for your business. Providing a third-party validation — outside bookkeeper or accountant—of your income or that the use of business funds for your home down payment will not affect the business’s future viability minimizes the potential concerns a lender might have about your down payment sources. Be prepared to pay a higher down payment. If a lender knows you’ve been able to save up a higher down payment based on your current expenses, they’ll look more favorably at your ability to make your mortgage payments. According to FHA.com, the self-employed can qualify for an FHA home loan. They advise self-employed applicants to plan ahead (about a year in advance) in order to make sure they can meet the qualifications. Showing reliable income over two years, keeping accurate records of income, expenses, taxes, issues requiring credit repair or dealing with disputes on credit reports takes time. If you do these things, however, you’re more likely to qualify for an FHA loan. So, is it easy? No. Is it impossible? No. Can it be done? Yes! You just need to be able to prove that you’re a good risk. When looking for a home, be sure to advise us if you are self-employed. We can help you get started on the pre-qualification and pre-approval process so that you are far down the road when we find the home of your dreams.